Photo taken May 19, 2008 at 246 First Avenue. 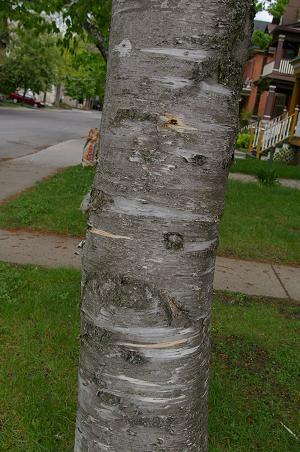 The bark was not peeling, so I am not 100% sure it is white birch. below many branches. 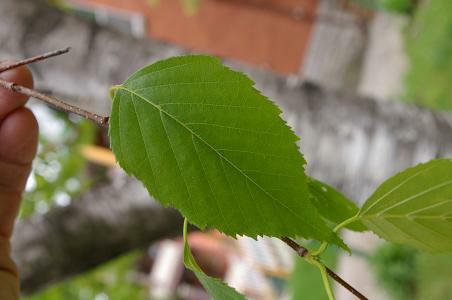 The leaf of European birch is shaped differently - more delicately. at all, and looks like the tree has been bandaged.